RIGHTyaLEFT is accepting Guest Posts all the year round. We invite guest post pitches from writers all over the internet. We are always interested in receiving well-written, unique posts from variety of Standpoints which will encourage and inspire my readers. Social and Technology Analysis , Tips Tricks of any Topics, Software/WebApps Reviews, Tech related News / trending Topics, Fun / Humor topics related to PC/Internet, Real Money making Online Methods, Blogging/Social Media related Topics. 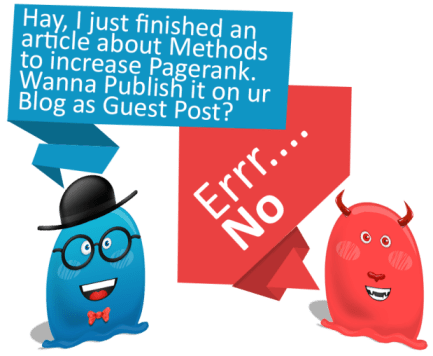 Submission of your Guest Post does not Guarantee Publication. Your submission will be reviewed and if it will benefited RIGHTyaLEFT Readers, it is likely to be Published. Preference will be Given to those who demonstrate a genuine interest in RIGHTyaLEFT.com as a Reader or Follower. Submissions with a “Visit my Site” or “Check out my Product” type feel will not be accepted. Post must be High Quality and Original. The post must not be published anywhere else online. Please limit your Post to 600 Words or less. Check the word count before Publishing it. Use of Bullets, lists or Short Paragraphs is highly encouraged as it makes reading much easier. Email us your post in HTML format or in Word Document attached and attaching the relevant images in the mail. Please make a effort to use correct spelling, grammar and Punctuation. Include a Short bio at the End of your post. The bio must not be more than 50 Words. After your Post is published, its your job to share it in different Social Networking sites to attract readers. If your guest post is accepted then we will publish it soon by sending you the Published link in reply. If it will not be published then we will inform you so that you can submit it to another blog. If you have any ideas then you can send a query to the email id given below. If you would like to submit your guest post for review, do send it to us at connect@rightyaleft.com with “Guest Post Submission” in the subject line. © 2019 RGHTyaLEFT	| Theme: WriterStrap by Crayonux.